Multiple Teams · Oct 27 Varsity Tennis beats Midlothian 10-5 to advance to the Regional Finals! 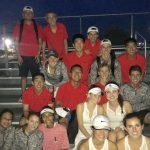 Multiple Teams · Oct 26 Lovejoy Varsity Tennis advances to the Area Semifinals by beating Frisco Independence 10-9! 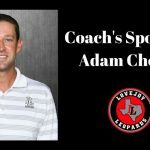 The Lovejoy tennis team had a thriller on Tuesday night in Allen. The leopards went down 4-3 after doubles, but came fighting back in singles to win 10-9. The leopards move on to the regional semifinals today 10/26 2:00pm at Allen High school against Midlothian. 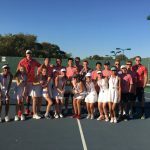 Multiple Teams · Oct 20 Lovejoy Varsity Tennis are the Area Champs by beating Frisco Heritage 10-7! 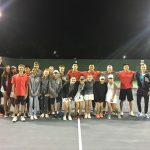 Multiple Teams · Oct 18 Lovejoy Varsity Tennis advances after beating Greenville 10-0 in Bi-Districts! 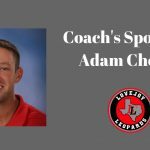 The Lovejoy Varsity Tennis team advances to the area tournament by beating Greenville 10-0! The leopards will play Frisco Heritage at Allen this Thursday 10/19 at 4pm. Come out and support your leopards as they try to advance to the next round! 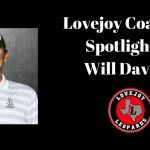 Multiple Teams · Oct 18 Lovejoy Junior Varsity Tennis Teams wins their 5th straight District Championship! 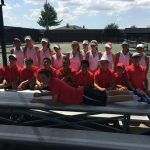 The Lovejoy Junior Varsity tennis team won their 5th district championship in a row without dropping a single match and going 56-0! The JV team played extremely well and has spent many hours on the court that have now payed off. 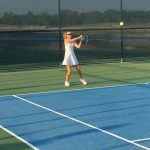 The Leopard Varsity and JV tennis teams dominated North Forney by each winning 19-0. The Leopards travel to mesquite next Tuesday to play Mesquite Poteet. The Varsity Team is currently 2nd place in district with a record of 4-1 and the JV team is first place in district with a record of 4-0!